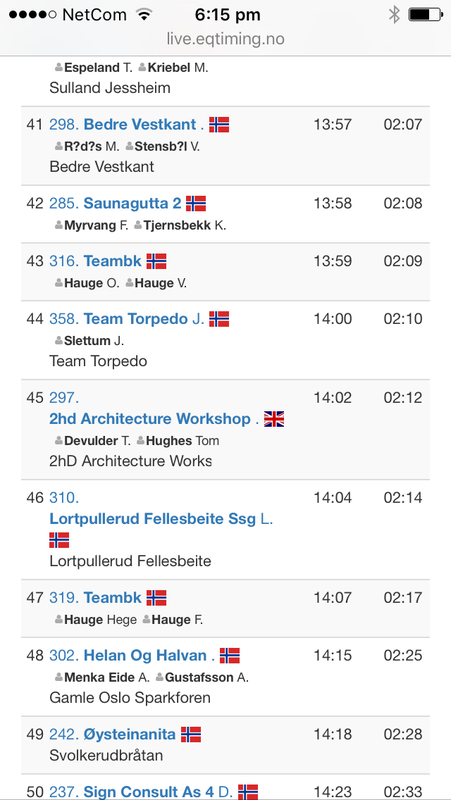 To celebrate 5 years of our Norwegian office, 2hD Architecture Workshop entered the VM Spark Utfor 2016, the Downhill Kick-sled World Championships, in Hurdal, Norway. Hauling our finely tuned Spark up the mountain to the start line. Sun, snow and men dressed as wizards. The event was sociable and well organised, a great balance of fun and competition, technical mountain gear and fancy dress. Highly recommended if you're in the area of Hurdal, Norway in February, and can get hold of a Spark. Training optional. Check out the event website for more information.